Choosing a warehouse and distribution company to outsource your storage and fulfilment needs is a great way to help nurture a growing online business. But there are so many different companies available, both big and small, that it can be a real headache trying to decide which one is right for you and your business, especially as it is essential to maintain an effective supply chain. 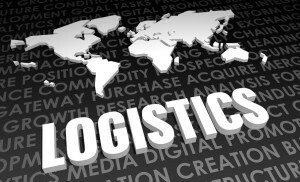 A bigger, more established warehouse company is likely to have many facilities in different locations across the country, reducing your company’s carbon footprint and lowering delivery and transportation costs which you could then pass onto your customers, putting you one step ahead of the competition. On the other hand, larger warehouse and distribution companies can often lose track of that personal touch when it comes to customer service, due to a heavily increased workload and more staff to manage and supervise in a high pressure environment. Smaller, independent companies in any industry, not just warehousing, often get to know their clients on a more personal level, creating business relationships that can last for many years down the line. Bigger businesses might benefit from a larger warehouse company, as they will often have first-rate stock management systems in place as a result of their experience handling a high number of goods for big companies. Owners of smaller online businesses will still need a warehouse company that operates efficiently, but might not need as much storage space or any unnecessary extra frills that a large warehouse company provides. Ultimately, whether you decide to choose a smaller, independent logistics company or a larger one, you’ll be looking for a facility that not only provides an excellent partnership but one that fully understands you and your business needs. Whichwarehouse have a great deal of experience working with companies to help them choose the right solution for them regarding their logistics needs. If would like to talk to a member of our team and discuss the available options, please call 0800 1707 555.